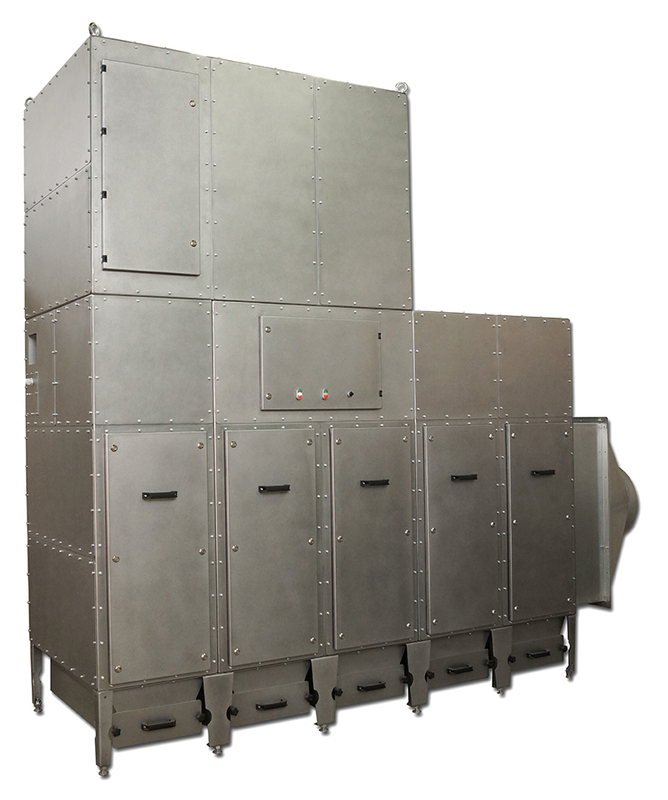 Standard FPM system has been designed for collection of non-explosive and chemically non-aggressive dry dusts arising at many industrial processes. 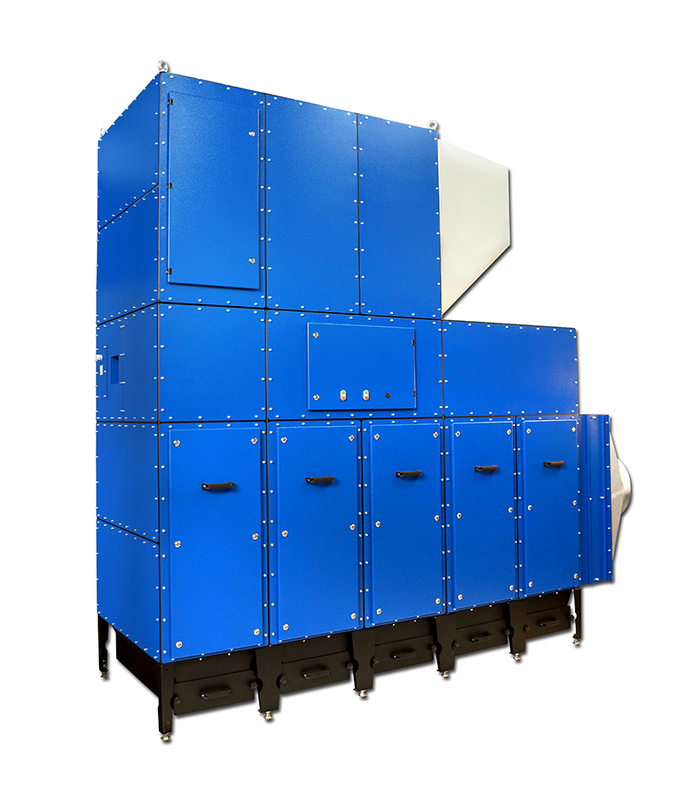 Thanks to highly efficient separation degree clean air can be returned (depending on type of process) back to production premises. 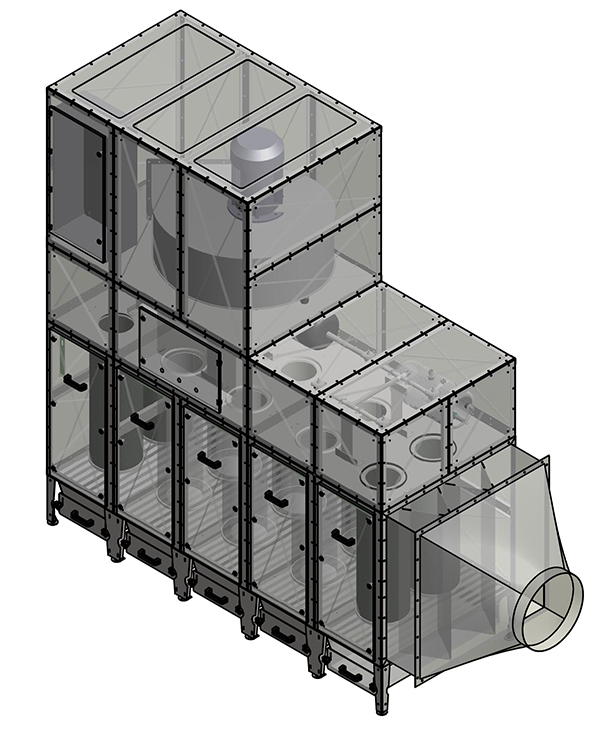 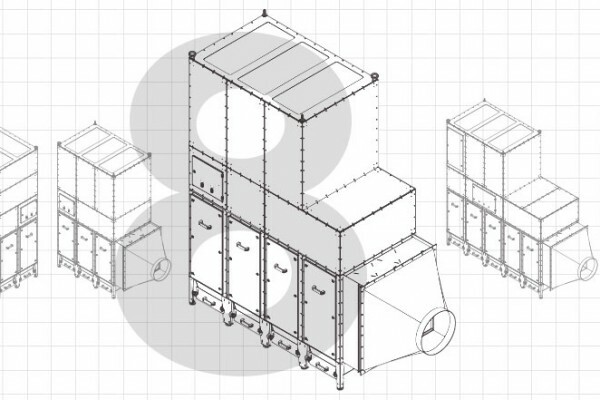 Filter unit construction features filter base with dust collection drawers, filter cartridge chamber and compressed air cartridge cleaning chamber. 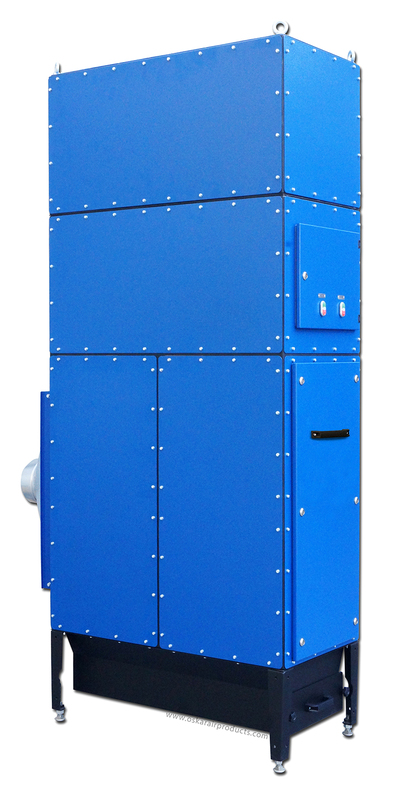 Exhaust fan can be delivered mounted on top (with or with-in noise proof enclosure) or mounted free standing on the side of the filter unit. 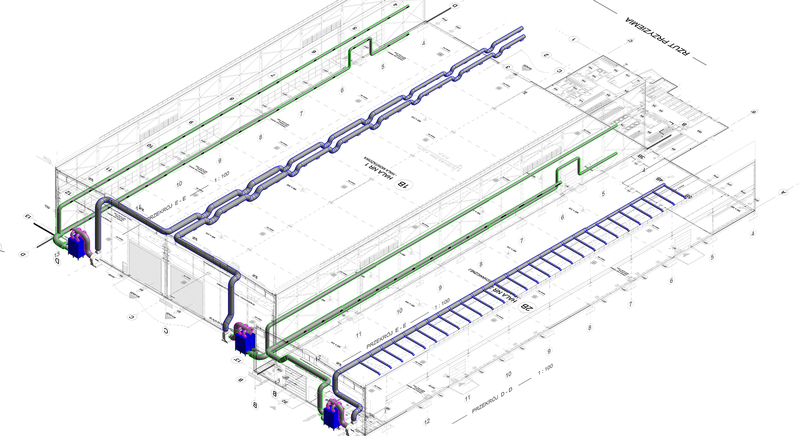 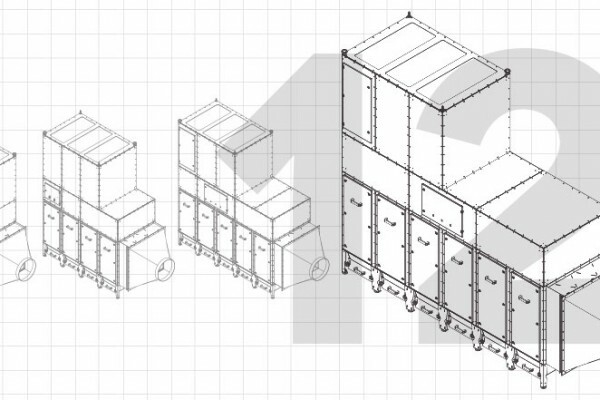 Modular FPM construction allows custom configurations tailored to application requirements as well as to conditions of installation site or way of delivery. 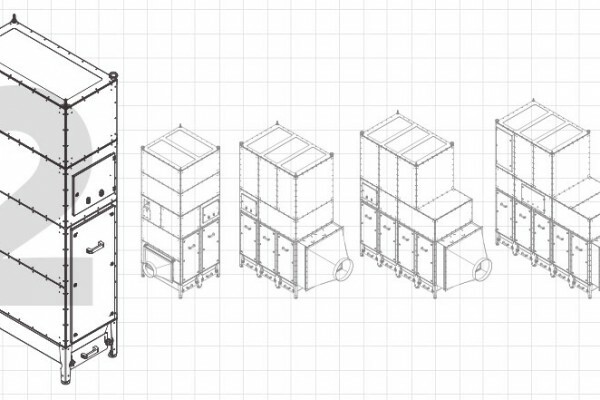 Modular filter parts are powder coated and galvanized for corrosion protection (antistatic coating available as separate option). 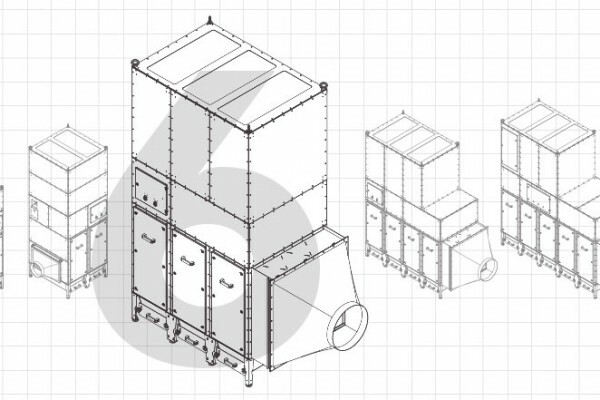 FPM configurations are complemented with cartridge filters, which proper selection provides total filtration surface adequate to type of air pollutant as well as to air flow capacity. 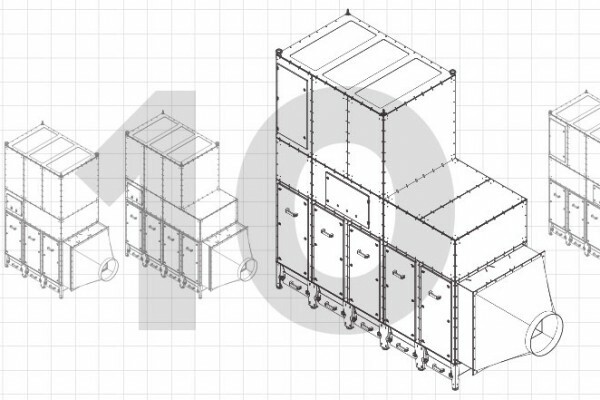 Though FPM system has been primarily designed for welding smoke, cutting, grinding of metals and plastics, it can be used with many other industrial dry dust applications. 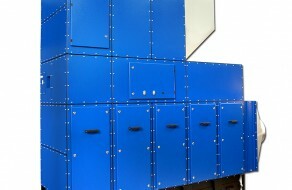 Configurations up to FPM-12 has been listed in the main product catalogue. 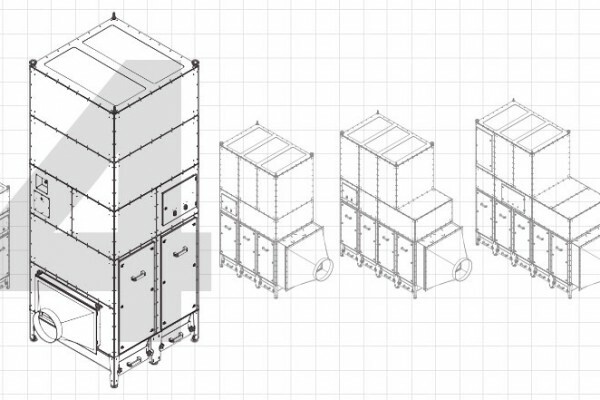 For larger configurations up to FPM-24 and larger please contact Oskar Air Products office or our representative.